This Star Wars lightsaber ring was based on Luke’s Skywalker’s lightsaber from The Empire Strike Back. It has had the base lacquered to give it some contrast, but it pretty basic, just like the real handle. If you have an idea for your own lightsaber ring, send it over to us and let us show you what we can do. It might cost less than you think and we can make just about any star wars idea that you can come up with. This one was 10mm wide, but it could be made wider and as narrow as 9mm wide. And it is possible to add stones going around the outer rails if you wanted some sparkle. 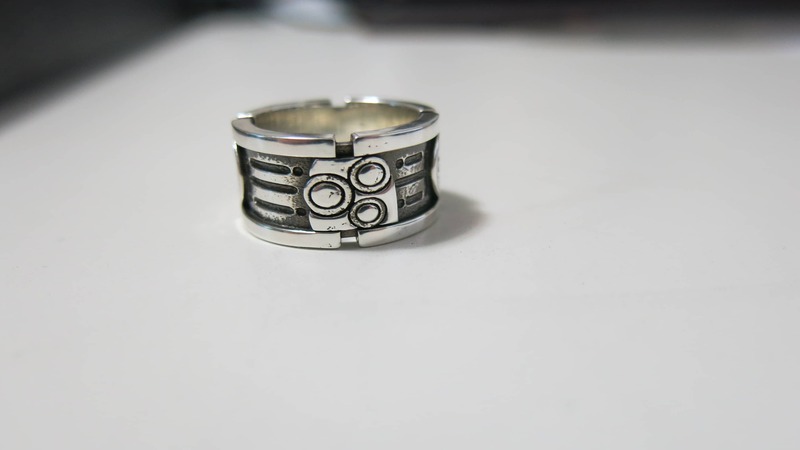 The starting price is for 10mm wide Sterling Silver lightsaber ring. 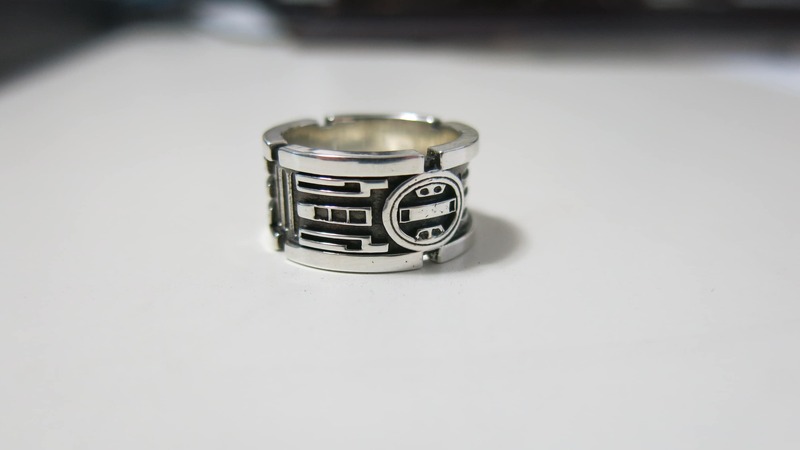 Click HERE to see another one of your custom lightsaber ring designs.